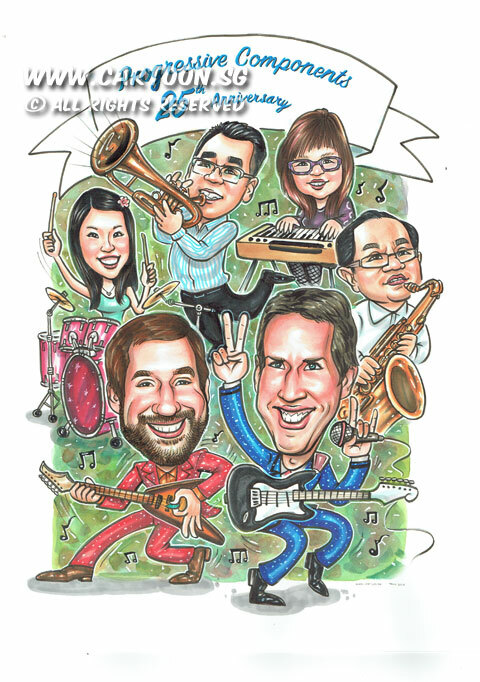 A group caricature ordered by a company for this group of colleagues to be drawn as musicians! 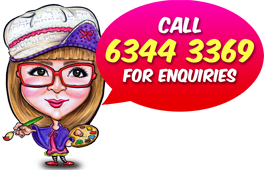 Fun and entertaining theme! It was a hilarious, full of movement caricature. One played Saxophone, one trumpet, one keyboard player and a drummer! It was a group of Rock Star!